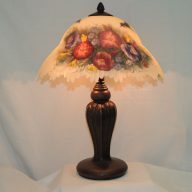 Bearded Iris hand painted reflections night lamp made from bonded marble. 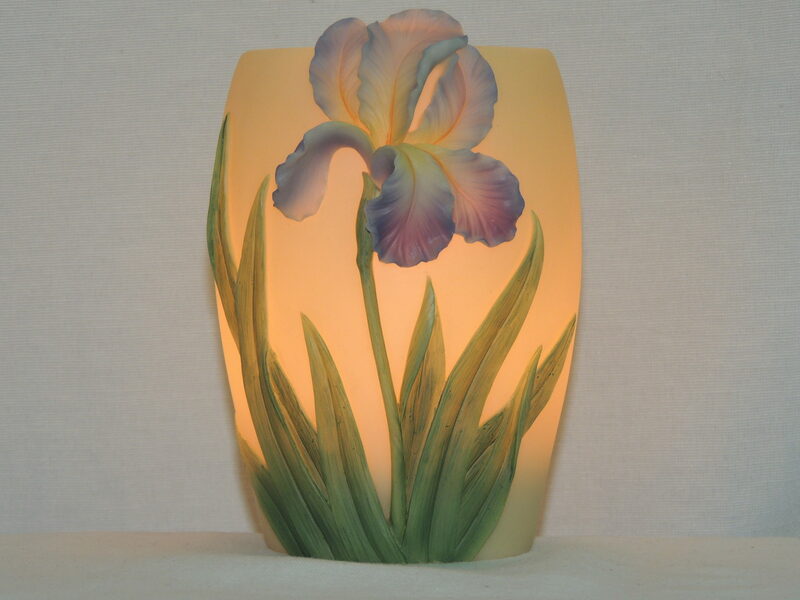 This Bearded Iris Night Lamp is sculpted, hand painted and made of bonded marble. The iris on this memory lamp is raised and offer wonderful detail, as well as the delicate stems beneath. The flowers boast colors of purple, yellow and white. The stems are a lush medium green and are also raised. 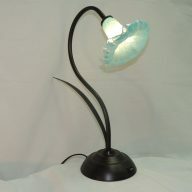 The rest of the accent lamp has a light whitish green background. 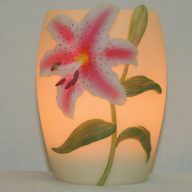 This gift of light makes a wonderful gift in lieu of flowers and the colors can go with many decors.